Vietnam Airlines has taken delivery of its first A350 XWB aircraft. The carrier will roster the Airbus jet, which it collected from the manufacturer’s base in Toulouse today, on to its long-haul routes. Due to arrive in Hanoi tomorrow, the airline will first inaugurate the A350 between Hanoi and Ho Chi Minh before adding it to its Hanoi-Paris route. 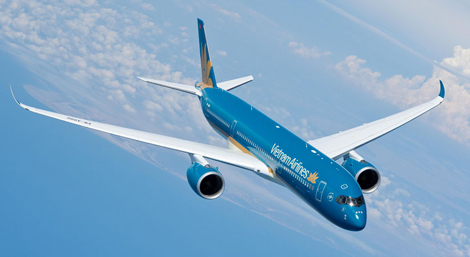 Vietnam Airlines is only the second carrier to receive the A350, after Qatar Airways (see news, December 2014). 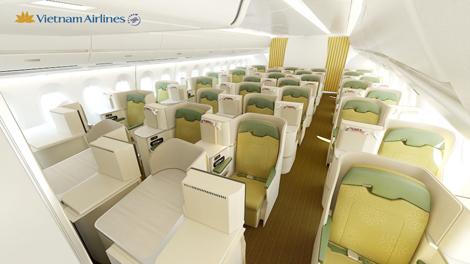 Its A350 contains 29 fully-flat seats in business class, 45 seats in premium economy and 231 in economy. The business product is configured 1-2-1, meaning all seats provide direct access to the aisle, and it features the Sogerma Solstys seat by EADS. Trinh Ngoc Thanh, Vietnam Airlines’ executive vice president, commercial, said: “The arrival of the A350 XWB marks the start of a major upgrade of our long-haul fleet. “Combining the latest technologies, a wider cabin and the highest levels of comfort, the A350 XWB will enable us to fly our passengers in style whichever class of travel they choose. Vietnam Airlines’ current Airbus fleet consists of 49 A321s and 10 A330s.